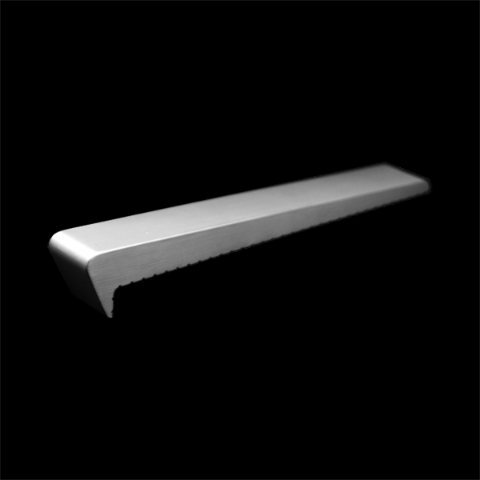 Description: This extruded aluminum part is designed for walls from 0” - 3/8” radius edge. Gorilla 012 is most commonly used on granite, marble, stone, block, brick, or other surfaces with a hard corner. This part uses two concealed G PIN anchors. Applications: For square corner from 0” - 3/8” radius. Anchoring: Anchored with two concealed G PIN anchors. Use anchors in conjunction with two-part epoxy. Product Spacing: 12”-18” from end of planters/walls and approximately 36” centers. Do not apply at grout joints.